The number of scrumptious restaurants in Valletta is endless. Malta’s capital has so many good restaurants that will have you coming back for more. I regularly dine out in Valletta and one of the restaurants I keep returning to is Aaron’s Kitchen. We have been there several times and we were never dissapointed. 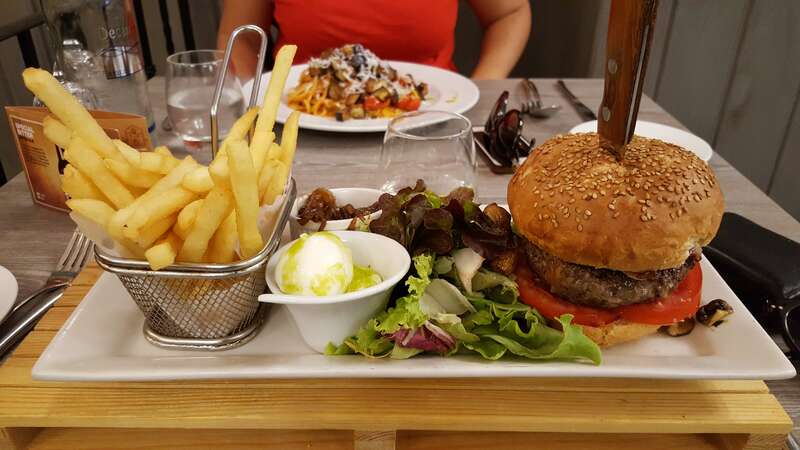 Really at the heart of Valletta, a few steps away from the old Parliament, Aaron’s Kitchen offers all those who visit a true Mediterranean feast. Food on offer includes a variety of sea creatures, seasonal vegetables as well as the local and traditional Maltese favourite, rabbit served in different variations. Aaron’s offers a fresh dining concept in a relaxed environment with superb food and a vast selection of wines. A quaint little place to enjoy with good company. The service is always efficient and the food is always wonderful, definitely a great value for money. I would highly recommend it for a satisfying lunch after some shopping or errands in Valletta. The Chef Patron, Aaron Degabriele, has more than 20 years experience in the industry and skillfully selects the freshest ingredients on the market. Apart from a delightful menu, the Chef also boasts a variety of daily specialties freshly prepared on demand. Wine enthusiasts, will also feel in heaven with the vast range of options. The homemade desserts are also heavenly and definitely worth tasting. The restaurant is not huge so make sure you book a table, certainly on weekends, before you give it a go.